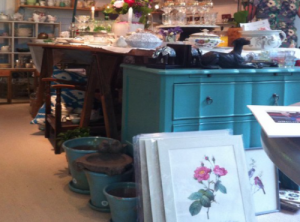 Muddy says: former school mates have turned their passon for hunting out unusual vintage finds into a thriving business. 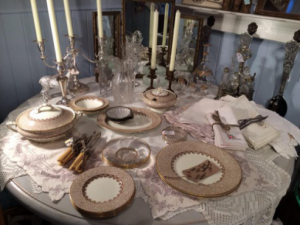 From chandeliers to mirrors and potted china to antique furniture – you’ll find it all at their showroom in Whittlesford. 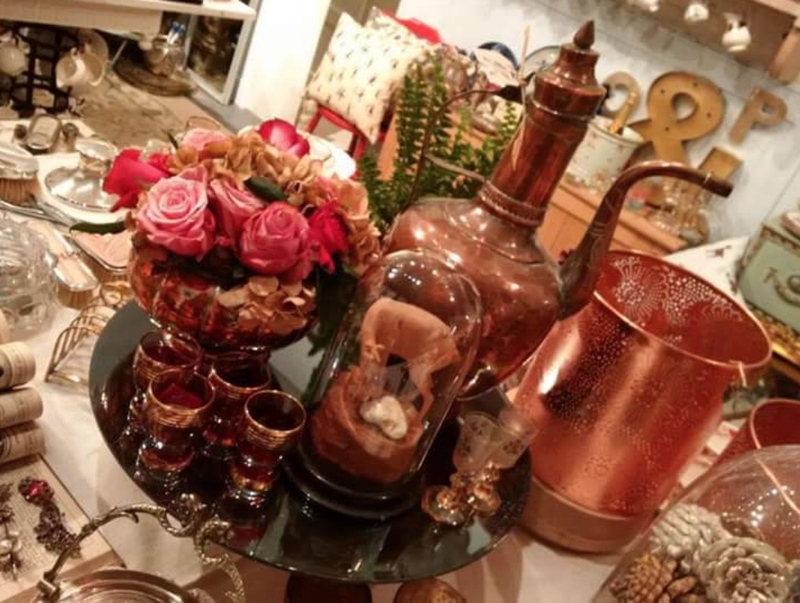 Eclectic, eccentric and exquisite sums up Oxbow and Peach – an Aladdin’s cave for vintage lovers, many of who make a special journey to visit from far and wide. The veritable treasure trove is found in the Old School House in the pretty village of Whittlesford, a few miles south of Cambridge. Childhood friends Georgie Mitchell and Lizzie Griggs have turned their passion for seeking out unusual vintage pieces, from chamber pots to chandeliers, into a busy and thriving enterprise. 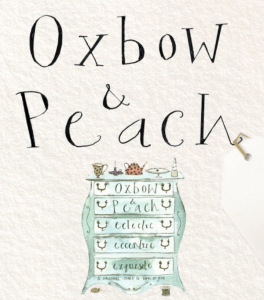 Oxbow and Peach was set up in 2010, initially selling at charity and country home fairs, and now they also work from their quirky and charming showroom. 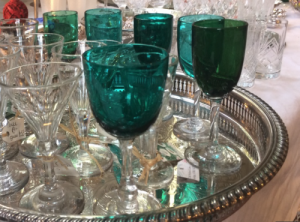 Here you’ll find display tables adorned with handmade posies or potted vintage china alongside pretty tableware, vintage glass, linens, retro kitchenalia, original art and individual pieces of furniture. Oxbow and Peach can be found at local fairs and events across the region and beyond, details of which are listed on the website and Facebook page. The showroom is-open for various pop ups events throughout the year where you are guaranteed a good browse and a warm welcome. We will be re-opening the Whittlesford showroom for the busy Autumn season on Friday 29 September 2017 and will be open every Friday and Saturday from now on until Christmas. Georgie is going to be working there (painting, polishing, up-cycling) most Thursdays – you will need to ring in advance to check (07749 408444), but you are welcome to shop on then too.